Background/Aims: To assess the body, mind and spirit differences between yoga students compared with college students. Materials and Methods: Mind, body and spirit survey instruments administered to the two groups. Results: Five indicators to measure mental wellness were significantly different between yoga practitioners and college students. On three of these five measures, college students reported more mental wellness than yoga practitioners - in other words, the relationship was the inverse of what was expected. College students reported maintaining stability in their life more often than yoga practitioners as well as more often experiencing satisfying interpersonal relationships. College students were also more likely than yoga practitioners to report being tolerant of others, whether or not they approved of their behavior or beliefs. Yoga practitioners were more likely than college students to report having strong morals and healthy values as well as the ability to express their feelings and consider the feelings of others. We found differences between yoga practitioners and college students on more than half of our spirit items (five of nine). Yoga practitioners were more likely than college students to report expressing their spirituality appropriately and in healthy ways, recognizing the positive contribution faith could make to the quality of life (significant at the 0.07 level), routinely undertaking new experiences to enhance spiritual health and having a positive outlook on life. Further, we found support for the proposition that yoga practitioners were more likely to report experiencing happiness within. Conclusions: Significant differences between yoga and college students were found on the body, mind and spirit measurement instrument. Further work needs to address the complexities of these relationships. Background: Organizational performance can be attributed to a number of factors. However, there are certain organizational factors, the presence or absence of which can determine the success or failure of the organization. There are different ways in which organizations try to improve their performance by working on such factors. 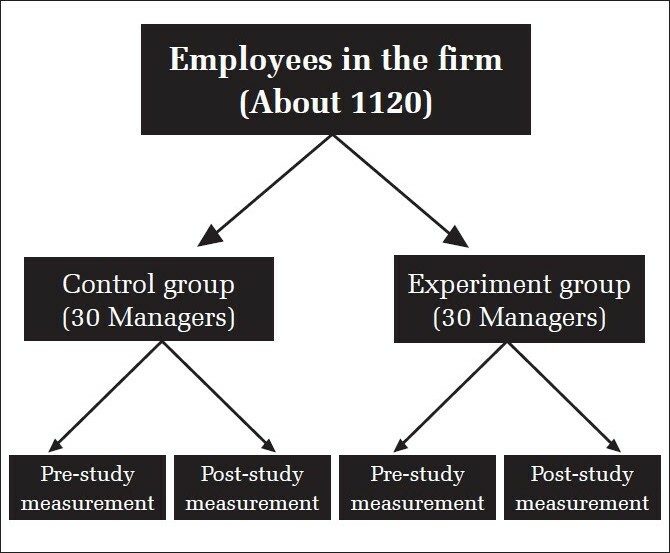 In the research presented in this article, an attempt is made to find out whether adoption of the Yoga Way of Life by managers can have a positive impact on such organizational performance indicators. Aims: To measure effect of yoga way of life on five different indicators through an empirical study. Materials and Methods: The five indicators are job satisfaction, job involvement, goal orientation, affective organizational commitment and organizational citizenship behavior. Statistics Analysis: Pre- and post-data was measured using self-reported questionnaire. Independent T-test (Paired) and Pearson's correlation test were conducted using SPSS. Results and Conclusion: The results of the study show that Yoga has a significant positive impact on four out of five of these indicators. Only job involvement does not show significant improvement. The construct used for measuring job involvement had a Chronbach alpha of 0.613, which is an indicator of moderate reliability, which could be the main reason for not getting positive result. Aims: To investigate the effect of two yoga-based relaxation techniques, namely, cyclic meditation (CM) and supine rest (SR), using the six letter cancellation task (SLCT). Materials and Methods: The subjects consisted of 208 school students, (132 boys, 76 girls) in the age range of 13 - 16 years. The subjects were assessed on SLCT before and immediately after both yoga-based relaxation techniques. Results: After both practices, the total and net scores were significantly increased, although the magnitude of change was more after CM than after SR in the net scores (14.5 versus 11.31%). The net score change in the CM session was significantly larger than the change in the SR, whereas, there was no significant change in the wrong cancellation score. After either practice, the total and net scores were significantly increased, irrespective of gender and age. Conclusions: Both CM and SR led to improvement in performance, as assessed by SLCT, but the change caused by CM was larger than SR.